Jason Schiers showed us what’s new from ENVE Composites when we met with him at this years Sea Otter Classic. The Ogden, Utah based company has been busy, releasing two new clinchers this past month, the 3.4 and 6.7 SES wheelsets. The 3.4 Clincher is available now at all ENVE dealers, with the 6.7 expected to ship shortly. 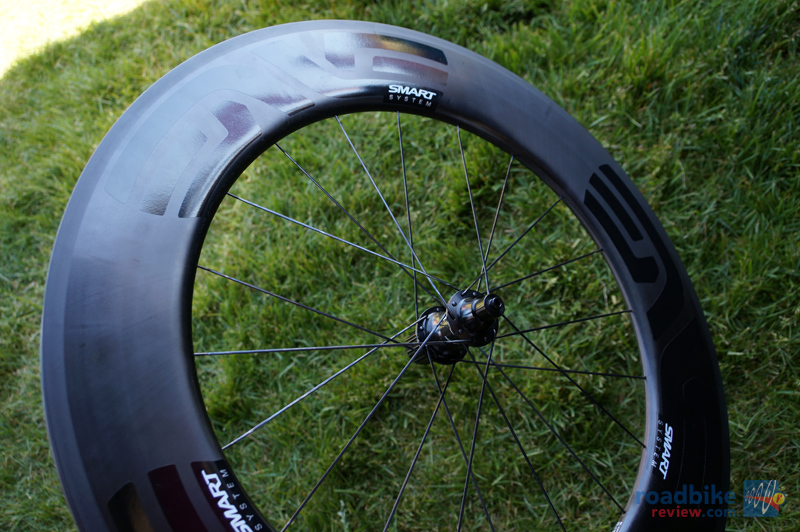 Also launched and shown at Sea Otter was the 8.9 Tubular wheelset, a true aero TT wheelset. The 8.9 showcases the molding processes used by ENVE, creating a deep, fast wheelset, that still conforms to their stiffness requirements. A clincher version of the SES 8.9 is scheduled to begin shipping later this year. “Pairing ENVE composite technology with Smart aerodynamics makes for the strongest, most versatile wheels for any wind condition in the world. Throughout the development, we were able to add new benchmarks in aerodynamics, which are highlighted by the new Smart ENVE System 8.9. 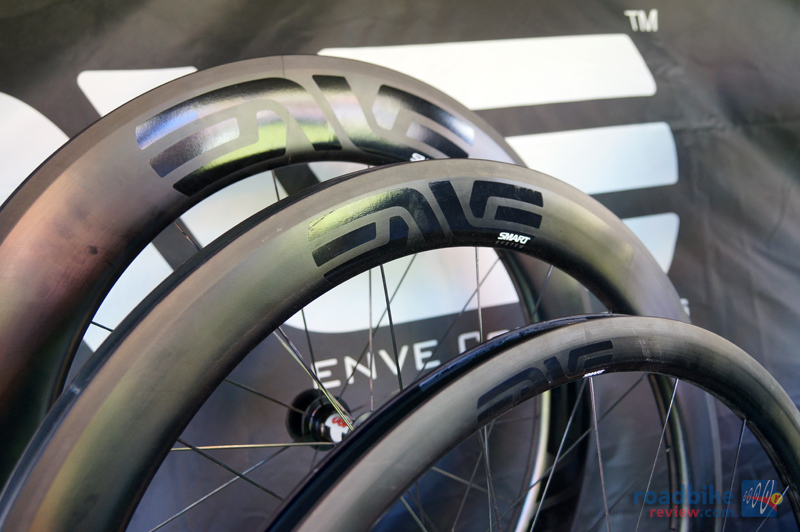 The new 8.9s outperform some disc wheels in terms of aerodynamics, but in terms of stability and weight there isn’t a disc wheel that comes close,” said ENVE engineer Kevin Nelson. Regarding aerodynamics, the Smart ENVE System has been exclusively developed in the Mercedes GP – Petronas wind tunnel in Brackley, Northhamptonshire in the United Kingdom under the direction of renowned aerodynamicist Simon Smart. What sets the Smart ENVE System wheels apart from the rest is that they were developed to perform as a complete wheel system in frame, with rider on board. As a result of this approach, the Smart ENVE System wheels feature dissimilar depths and widths between the front and rear wheels. The front rims are wider and shallower to maximize stability across a broad spectrum of wind angles; and the rear rims are deeper and narrower to minimize drag on the trailing edge of the bike to eliminate turbulence and fit issues associated with modern aero frames.